Brokenness. When I hear the word, or see a situation that is defined by it, I cannot help but hope for an antidote. It seems that the last few months have been mostly dominated by brokenness: I have witnessed long-term marriages falling apart, friendships that have been forsaken, anger welling up between fellow congregants, global animosity that is crippling nations and people groups and my own personal bouts with depression. At first glance this could seem morbid, but to the reader who recalls the entire story of this broken family, it is a final breath resulting in restoration and renewal. These two brothers who were archenemies – in part due to the division originated by their father and mother – symbolized their togetherness by coming together to bury their father. The cyclical pattern of the younger son becoming greater than the older was especially the case here as Jacob (“the trickster”) had many years before stolen his brother’s blessing. As I have watched the effects of brokenness take shape in the lives of real people, including myself, I realized my need to witness the possibility of restoration and renewal. God, knowing my need, led me to this story during one of my Old Testament courses. I realized that hope beyond brokenness needs direction. What better place to direct hope than towards restoration and renewal? The fact of the matter is that I also need hope when I encounter brokenness, be it someone else’s or my own. Most important, I am finding that when hope is aimed at restoration and renewal, a beautiful ending lies waiting ahead. 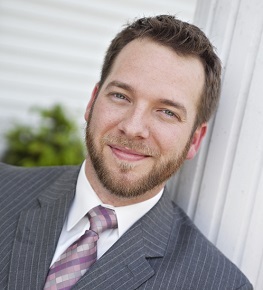 Heath Kirkwood is a CBF Leadership Scholar, and is currently pursuing an M.Div. in Biblical Studies & Theology from George W. Truett Theological Seminary at Baylor University. He received is B.M.E. and M.M. from the University of Houston and currently serves as the Minister of Worship & Youth at First Baptist Church of Chappell Hill, Texas. Heath, Thank you for sharing. In the last several weeks I have heard the word brokenness and deliverance. Though I have overcome and laid many things at the foot of the cross I have felt a heaviness over the last few years. If I knew what was causing it, it would be easier to overcome. I know this is the season that God is working in and through me. He is opening doors for me to be a part of the LIFE Group. Living in FREEDOM Everyday! I will be serving on the Walk to Emmaus team April 28 – May 1. To God be all the glory!